Join hundreds of volunteers who provide over 20,000 hours each year supporting the Bellevue Botanical Garden and Garden partners. Their generous support plays a crucial role in the success of the Garden. There are many volunteer opportunities available, from participating in educational programs and helping with special events, to assisting with outreach and providing horticultural assistance—all essential in enriching visitor experience. Whatever your passion, the Garden can use your interest and talent! To inquire about volunteering, contact Cynthia Welte, Program Coordinator, at (425) 452-6826 or by email, or fill out the online volunteer application. Criminal background checks are required for some positions. Some positions may require membership in the Bellevue Botanical Garden Society. Please note that the following opportunities are not always available, as volunteer needs vary throughout the year. Please contact us for more information about current volunteer needs. Lead tours of the Garden. Stroll the Garden with visitors and share interesting information about the Garden and its history. Training classes are provided annually. The next docent training will begin on April 4, 2019. To learn more, please email us. As an ambassador of the Garden, greet visitors when they first arrive at the Garden. Assist shoppers, work as a cashier, and provide inventory support. Help ensure the Garden’s special events run smoothly and safely. Assist visitors, patrol the grounds, and support garden staff with operational duties. Heighten awareness of the Bellevue Botanical Garden and the Bellevue Botanical Garden Society by promoting and communicating the Garden’s brand and message to key channels throughout the community. Requires quarterly meeting and assistance with ongoing special projects. Help plan and execute a wide range of community-building and fundraising events, including annual events such as Mother’s Day, Arts in the Garden, and Garden d’Lights, as well as one-time events. Greet visitors to the Garden, sell tickets, and provide special event support. Assist in the creation of the Garden’s quarterly printed newsletter, The Buzz. We are looking for volunteers to help with writing and editing. Conduct research and interviews for articles and/or write, edit and proof-read content. Requires quarterly meeting. Assist with botany-related educational opportunities for children ages 3 to 12 years, including Living Lab, Kids in the Garden, and Scouts programs. Help design, coordinate and host our adult education programs. Identify and recruit speakers on a broad range of gardening and garden-related topics. Compile and prepare information and photos about the plant collection for web-based educational materials. Assist Garden grounds staff and partner volunteers in creating, planting, pruning, weeding, and maintaining beds. Tuesday mornings, 9:30-11:30am. 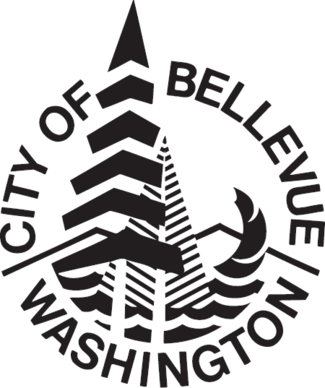 Participate in a work party with Bellevue Utilities on the 1st and 3rd Wednesdays of the month, 1-3pm, from spring to fall. Work with the Northwest Perennial Alliance every Thursday at 10am. Renovate and repair existing displays, build new ones, and plan displays. Sit alongside “veterans” to learn how to build a light display. Participate in set-up, installation, light maintenance, and take down of displays from the last week of October until the Monday of Thanksgiving week. Take-down is the first week of January. For more information about volunteering at the Garden, contact Cynthia Welte, Program Coordinator, at (425) 452-6826 or by email.